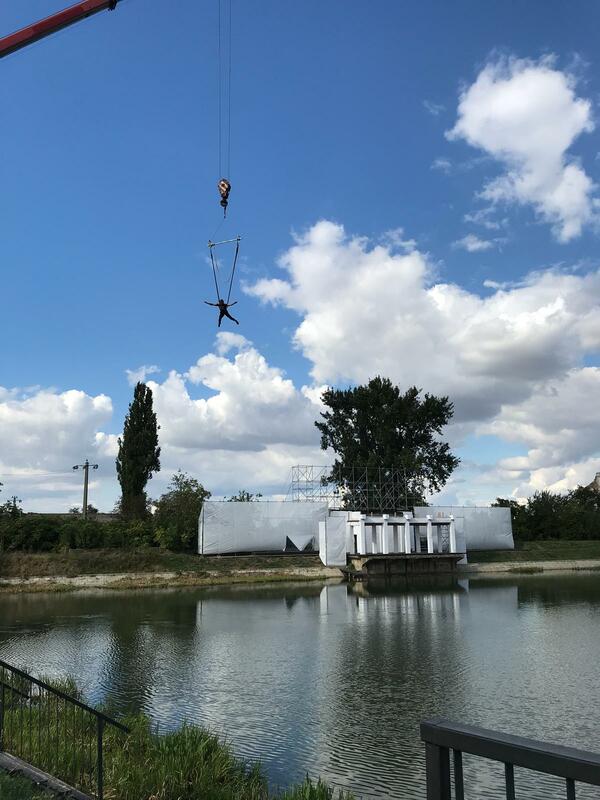 Amongst a busy week of rehearsals for our team in Timișoara, today marked the arrival of cranes onto our site, allowing our dancers to take to the Romanian skies for the first time ahead of outdoor marvel, Lumen, premiering later next week. 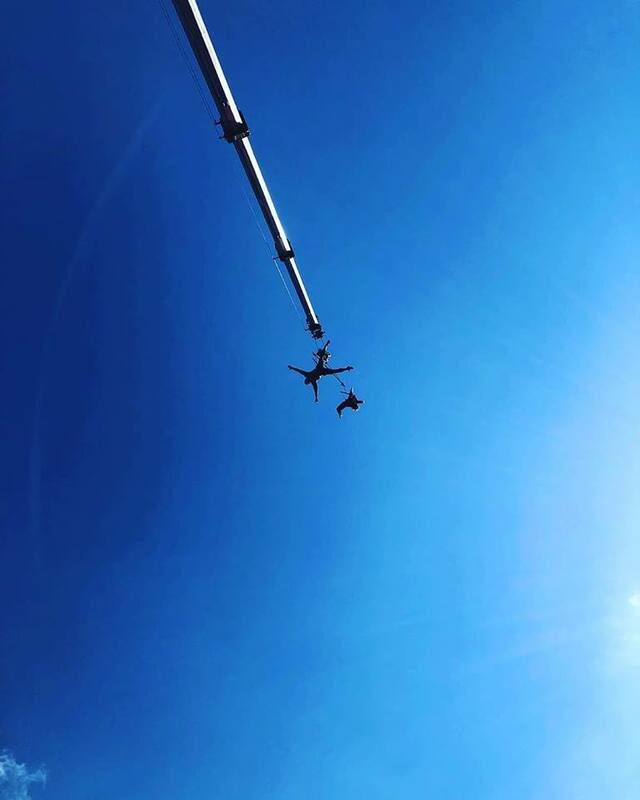 Despite our dancers having experience with aerial work from our past productions, the tricks we have in store for Lumen are something completely new and different for them. Not only do our dancers need to get used to being suspended from moving cranes rather than having a solid, static base, but they also must adjust to working at much greater heights than usual. 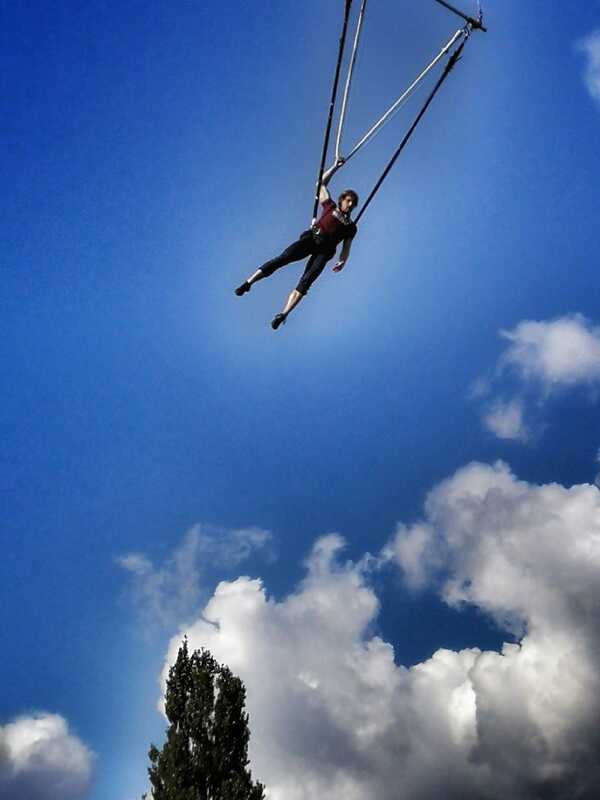 Similarly, many of our dancers are tackling a new piece of equipment known as a bungee trapeze, this involves being able to perform choreography and tricks whilst free falling before using the momentum from a bungee cord to help pull themselves up to catch a trapeze bar. This requires huge amounts of strength and resilience in order to perfect something so difficult over such a short period of time. It is also crucial for our dancers to have an open mind and not overthink things in order to overcome the fear factor and break boundaries, something that Motionhouse dancers have become renowned for over the years.